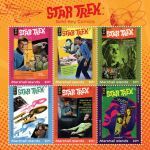 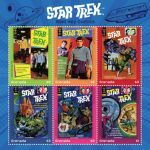 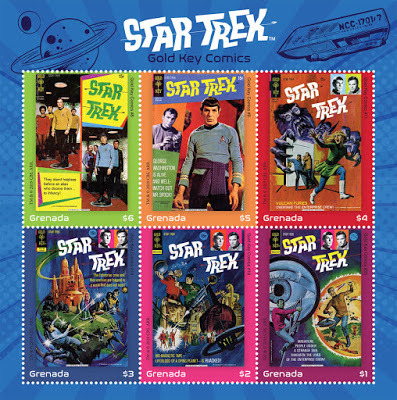 The Inter-Governmental Philatelic Corporation has announced the release of three mini sheets of Star Trek-themed postage stamps. 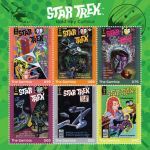 Each sheet will be released in a different country; The Gambia on April 17, Grenada on April 29, and the Marshall Islands on April 30. 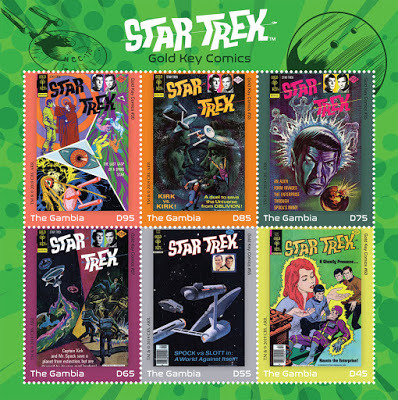 There are six different stamps per sheet, and the mini sheets will be available here when released.